Up to £10,000 cash cover* Up to £100,000 valuables cover*. 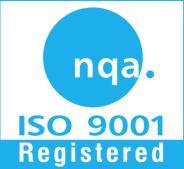 Designed & manufactured in the UK under the control of ISO 9001:2008. Tested & certified in the UK by the LPCB to EN1143-1 European Standards. 45 minutes fire protection. Test conducted utilising the general principals of BS476: Part 22: 1987 with reference to BS476: Part 20 1987*. Association of Insurance Surveyors approved (AiS). The Europa range of safes have been designed to meet the stringent requirements of the LPS 1183: Issue 4 and the European Safe testing as outlined in EN1143-1: 2005, tested and certified by the LPCB. It is suitable for larger commercial and domestic risks. The range is well designed, soundly engineered and manufactured under the control of ISO 9001:2008, using the latest technology and production techniques. Barrier construction embodies innovative design combined with approved materials providing resistance in excess of the test criteria.The boltwork arrangement is 3-way moving with fixed 32mm rear dog bolts.Fire tested to BS476 Part 20. This certification demonstrates our commitment to offering proven levels of security performance through one of the worlds leading security testing and approvals organisations; one that is is widely recognised by Insurers, Police, banks and retailers. Standard locking is supplied by a single 8-lever double-bitted keylock (certified to EN1300) with passiveandliverelocker. Base fixing is standard.Grades 1 comes in 7 sizes with one adjustable shelf included. Internal optional fittings include additional adjustable shelves, full-width lockable drawer units (one single drawer).